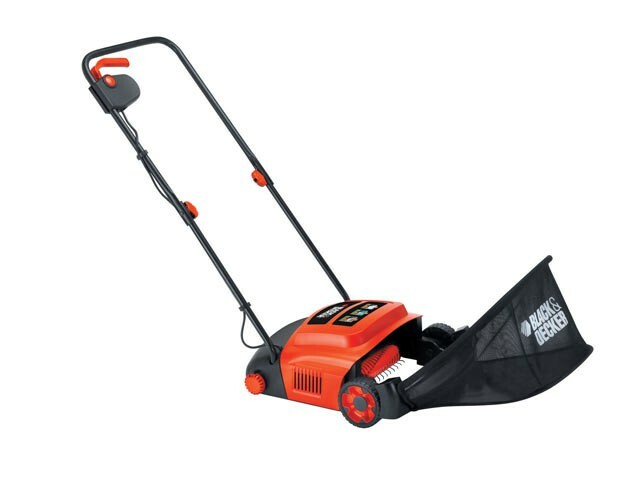 The Black & Decker GD300 Lawnraker is suitable for medium gardens and has a 300mm raking width with a rear roller and 3 raking heights for year round maintenance. The raking mechanism has metal tines. A large capacity, front loading grass box provides easy collection and disposal of debris. Central height adjustment system for speed and ease of use. Has a 2 Year Guarantee. Working Height: 2, 3, 8mm.